Scottsdale, AZ - February 21, 2019 - With the increasing use of advanced materials in industrial applications from aerospace to medical devices, comes a growing need for innovation in material conversion technology. Developments in laser processing aim to overcome the limitations of existing technology and push the boundaries of how materials can be used. To this end, Universal Laser Systems has released a platform with unprecedented material processing capabilities. 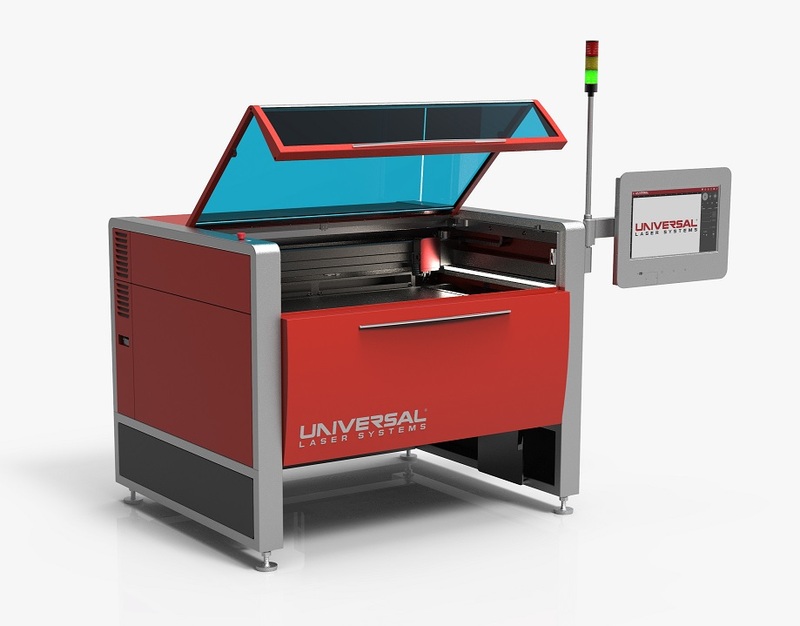 The new ULTRA 9 platform is designed to perform laser cutting, laser ablation, and laser surface modification. When configured with patented MultiWave Hybrid™ technology, it can combine the laser energy of up to three wavelengths – 9.3 µm (CO2), 10.6 µm (CO2), and 1.06 µm (fiber) – by independently controlling each spectral component of the beam. The user is able to select the ideal wavelength or combination of wavelengths based on the material, allowing for maximum process flexibility. The ULTRA 9 Platform features advanced functionality such as high-accuracy beam positioning and auto-focus, collision detection, and smart path planning. MultiWave™ is just one of the features that makes the ULTRA 9 a comprehensive processing solution. Advanced functionality such as high-accuracy beam positioning and auto-focus, collision detection, and smart path planning, make it ideal for applications in manufacturing, research and development, academic research, and prototyping. Due to its versatility, the platform is effective for the broadest possible range of materials including films, industrial fabrics, engineering plastics, laminating adhesives, foams and composites from global manufacturers such as 3M, DuPont, Henkel, Rogers, SABIC and Saint-Gobain. To learn more about the ULTRA 9 platform, visit ULTRA 9 Platform. Universal Laser Systems, Inc. (ULS) is a global manufacturer of laser material processing solutions, committed to advancing applied CO2 and fiber laser technology. Through the development of laser sources, software and beam delivery systems, as well as extensive research in laser material-processing, ULS provides its customers with innovative, cost-effective and flexible laser solutions for present and future needs. For more information, visit www.ulsinc.com.